There is a Twilight-sized hole in the film industry that many film companies have been keen to fill. Offerings such as Beautiful Creatures and The Host didn’t manage to step up to the plate, so now all eyes are on The Mortal Instruments: City of Bones (12A). But will it find a place in the hearts of teen girls everywhere? What’s it about? Based on the best-selling YA novel, City of Bones follows Clary Fray (Lily Collins) who discovers her life is not as normal as she thought it was after her mother mysteriously disappears. Suddenly she’s fighting off mystical creatures, only to be saved by the handsome Jace Weyland (Jamie Campbell-Bower). Jace is a shadow hunter and it turns out Clary is one as well and she must use her powers to find her mother and fight off the scary Valentine (Jonathan Rhys Meyers). Verdict: The problem with book-to-film adaptations is finding the right balance between staying true enough to the novel to please fans and making the story accessible to a cinema audience new to the material. 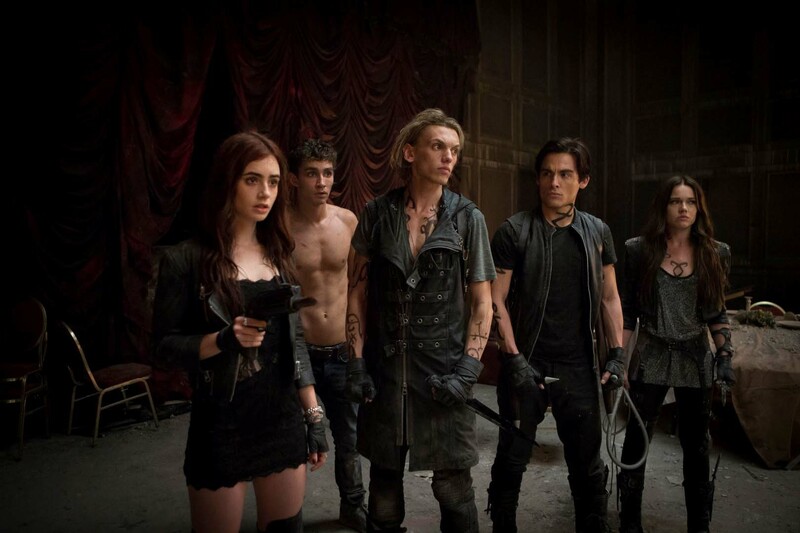 Luckily fans of TMI won’t be left too upset by the changes made in the film. The decision to change the characters ages to 19-20 years allowed director Harald Zwart to explore a darker, sexier world, and you’ll be thankful for this as you watch demons that seem to come straight out of nightmares chase the cast around New York. The cast are pretty much perfect in their roles which means the characters are brought to life with ease. The film starts like the book and introduces us to Clary, her mother, her best friend Simon (Robert Sheehan) and her normal life. The rapport between Collins and Sheehan helps make their on-screen friendship believable and entertaining. The scene where Lily sees Jace for the first time and freaks out about it is particularly fun because of Sheehan’s reaction. And when Collins and Campbell-Bower finally begin to interact as Clary and Jace, it’s not hard to see how the pair reportedly began dating thanks to the film. The chemistry is natural and allows the witty script to truly shine. This isn’t a typical super-serious love against all odds teen fantasy film; it’s actually very funny and slightly more scary than its 12A rating might hint. 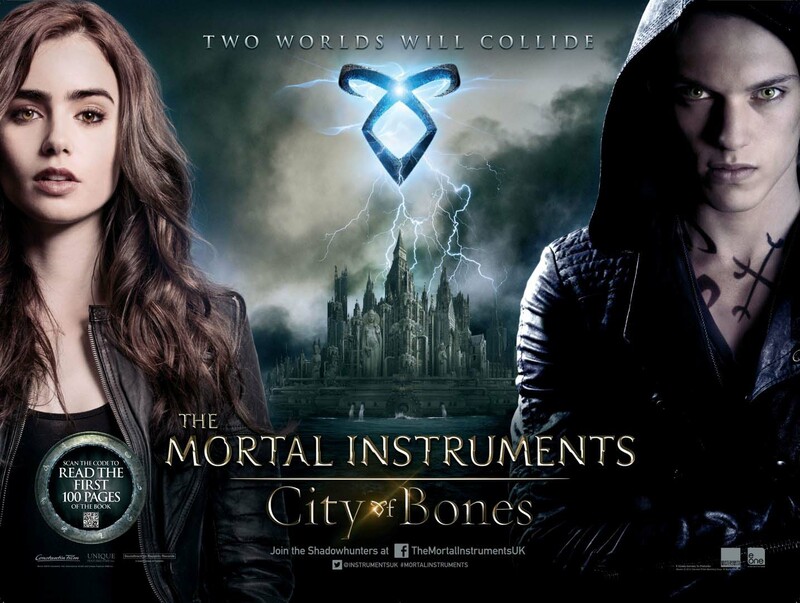 Final Words: With more wit, action and way more impressive CGI effects than Twilight, The Mortal Instruments: City of Bones has the potential to win over fans young and old thanks to it’s the brilliant cast, fast-paced script and a fun story. An entertaining watch that leaves you ready for the next part of the tale! One comment for "The Mortal Instruments: City of Bones Review"
The movie is so cool! I never seen anything like it! ;] I just love Jace(Jamie). He is so cute!